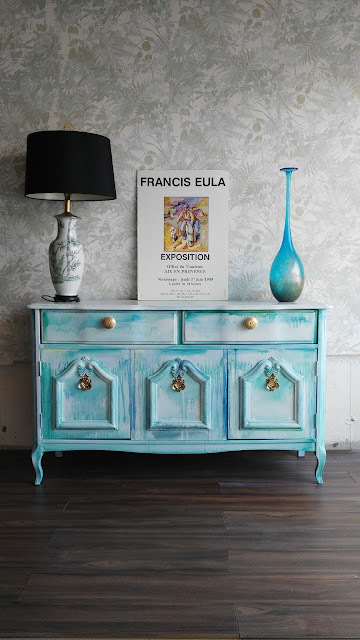 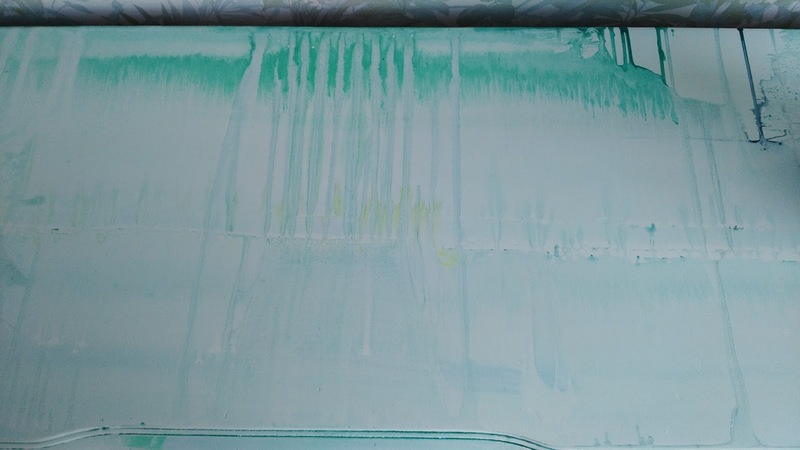 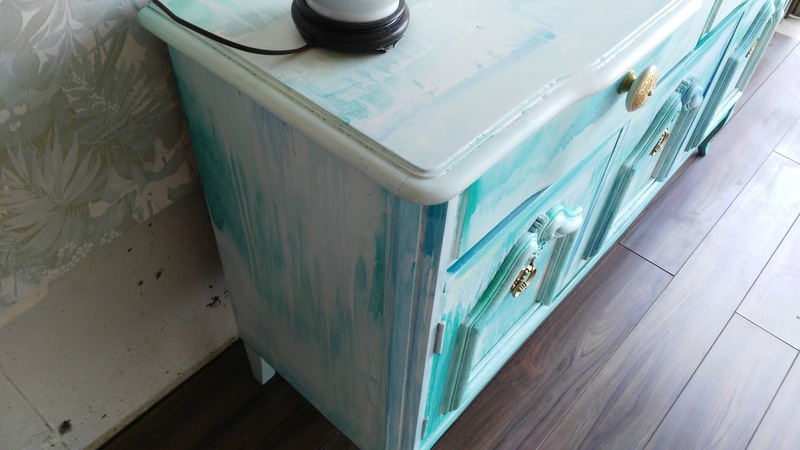 I have been having a love affair with watercolor over the past few months and have completed several dressers that have a watercolor feel to them. 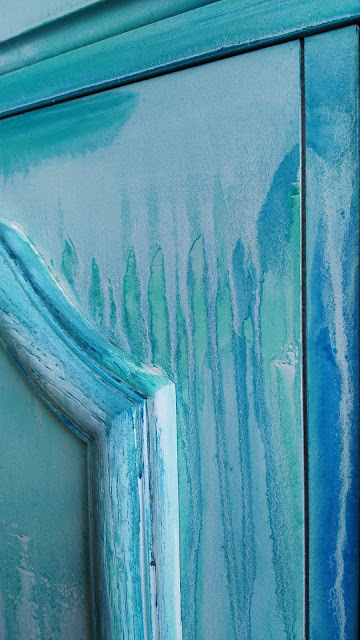 With this one I went a little more bold using blues and greens, and I just love it. 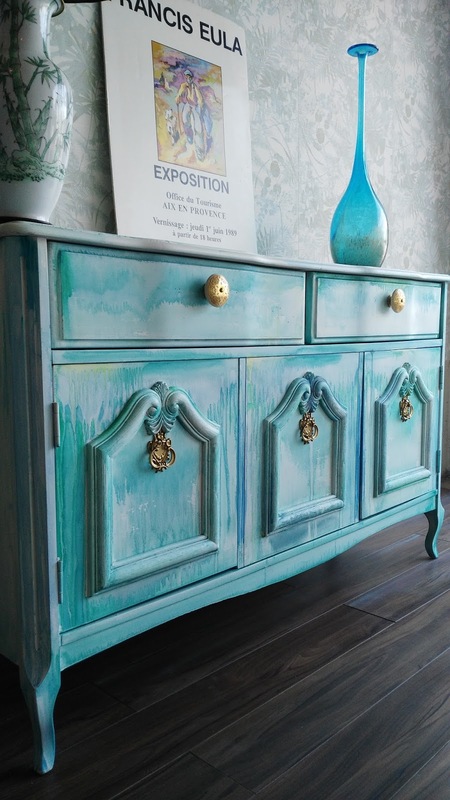 This piece was originally going into our living room as a couch backer, but I won the most beautiful French armoire at an auction, so this piece has been given the boot. 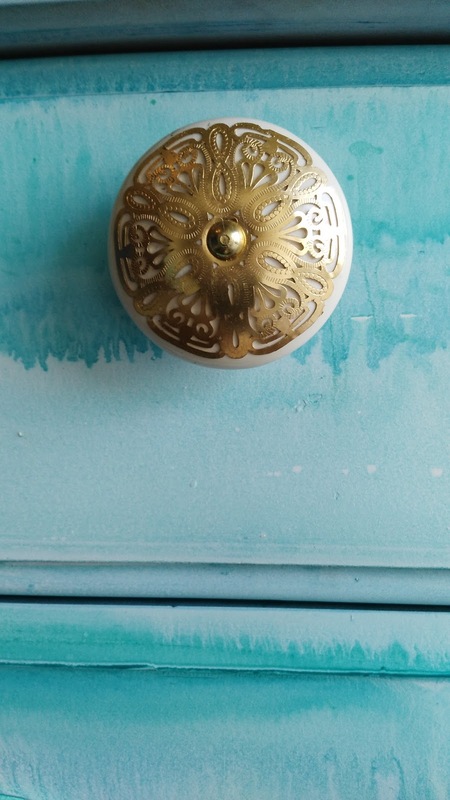 I added some cream knobs with a gold metal overlay, very chic.